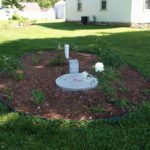 Planting gardens on septic drain fields is a popular concern of many homeowners, especially when it comes to a vegetable garden over septic tank areas. Keep reading to learn more septic system gardening info and whether gardening over septic tanks is recommended. Can a Garden be Planted Over a Septic Tank? Gardening over septic tanks is not only permissible but also beneficial in some instances. Planting ornamental plants on septic drain fields provides oxygen exchange and helps with evaporation in the drain field area. Plants also help control erosion. 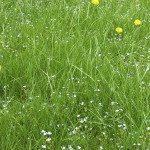 It is often recommended that leach fields be covered with meadow grass or turf grass, such as perennial rye. In addition, shallow-rooted ornamental grasses can look particularly nice. Sometimes gardening over septic tanks is the only place that the homeowner has to do any gardening, or perhaps the septic field is in an extremely visible spot where landscaping is wanted. Either way, it is ok to plant on a septic bed as long as the plants that you use are not invasive or deep-rooted. The best plants for a septic field garden are herbaceous, shallow-rooted plants such as the grasses mentioned above and other perennials and annuals that will not damage or clog the septic pipes. It’s more difficult to plant trees and shrubs over a septic field than shallow-rooted plants. It’s likely that tree or shrub roots will eventually cause damage to pipes. 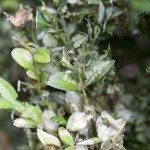 Small boxwoods and holly bushes are better suited than woody shrubs or large trees. Septic tank vegetable gardens are not recommended. Although a properly functioning septic system should not cause any problems, it is very hard to tell when the system is working 100 percent efficiently. Vegetable plant roots grow down in search of nutrients and water, and they can easily meet wastewater. Pathogens, such as viruses, can infect people eating the plants. If possible, it is always wise to reserve the area over and near the septic field for ornamental plants and plant your vegetable garden somewhere else. It is always best to gather as much information about your particular septic system before you plant anything. Talk to the home builder or whoever installed the septic system so that you understand what would work best for your particular situation.